Electoral officials ordered a second recount of votes in an east Istanbul district on Monday, after two weeks of appeals by President Tayyip Erdoğan's ruling Justice and Development (AK) Party. The ruling AK Party had appealed to the Turkey’s High Election Board (YSK) for a recount of votes cast in all districts of Istanbul. 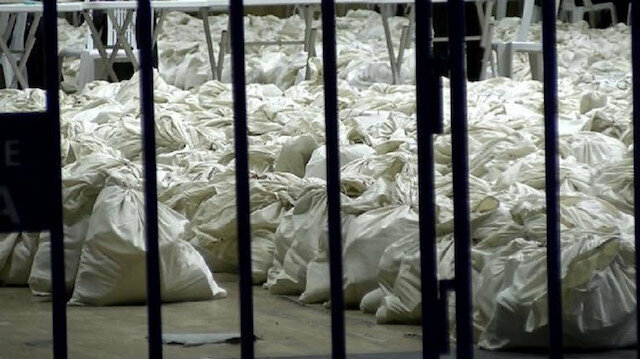 On Monday, electoral officials in the Maltepe district of Istanbul, where a recount of votes in 1,089 ballot boxes had already been underway for nearly a week, ruled for a fresh recount after an appeal by the AK Party and their nationalist MHP allies. Millions of Turkish voters cast their votes nationwide on March 31 in the local elections to choose Turkey’s mayors, city council members, mukhtars (neighborhood officials), and members of elder councils for the next five years. According to unofficial results, the main opposition Republican People’s Party (CHP) candidate Ekrem Imamoğlu leads Istanbul with 48.79% of the votes, whereas Binali Yildirim of AK Party follows with 48.51 percent of the votes. However, the AK Party has said a recount might change the results.